If you have ever suffered a panic attack, then you know it can leave you feeling helpless and afraid. Medication can ease these emotions but are often addictive and can make you feel desensitized and drained. CBD Oil offers a natural alternative with effective results, especially when inhaled directly into the lungs. But can you vape CBD Oil? Not exactly. You can take CBD by vaping, but there is a difference between CBD Oil and CBD Vape Oil. While people use these terms interchangeably, only one of these products is specially designed for your vaping device. To understand whether you can you vape CBD Oil, you have to understand CBD Oil vs. CBD E-Liquid or Vape Oil. CBD Oil is a combination of CBD isolate, MCT Oil, and Grape Seed Oil taken sublingually, while CBD Vape Oil is a mixture of CBD isolate, Vegetable Glycerin (VG) and Propylene Glycol (PG) designed for vaping. The CBD isolate in both products is extracted from superior grade Industrial Hemp using a CO2 extraction method. The resulting CBD is 99 percent pure and free of Tetrahydrocannabinol (THC), the active compound in Marijuana associated with a “high.” Both products provide you with the health benefits associated with CBD, but they are used differently. Vaping is an effective and relaxing way to take CBD. Inhaling CBD produces quicker effects, which is perfect for those who experience spurts of pain and anxiety. 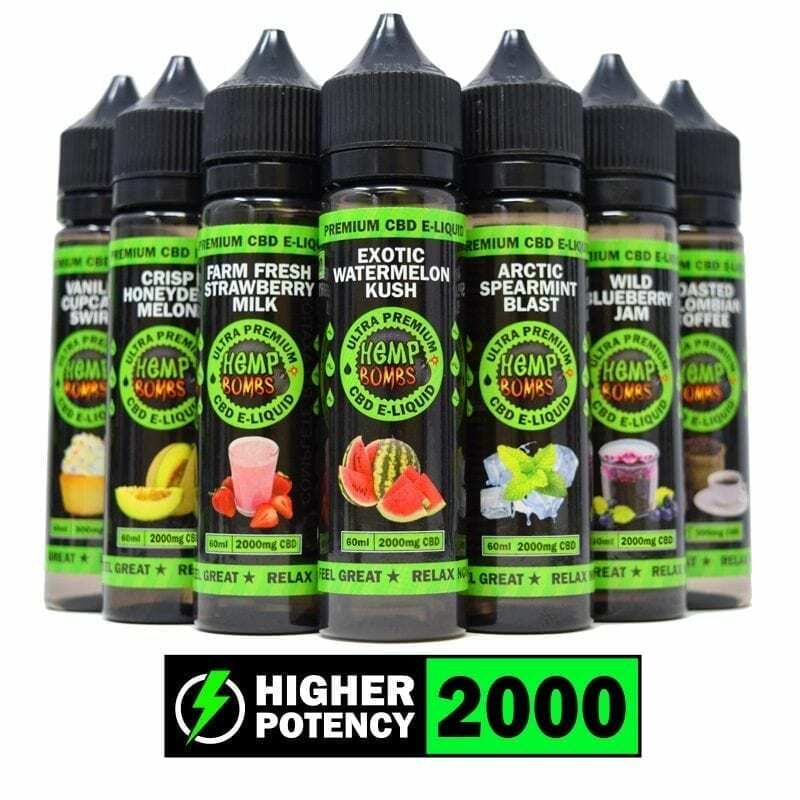 Hemp Bombs CBD E-Liquid is made of CBD isolate and a 70/30 VG/PG combination allowing maximum cloud production. Our E-Liquid does not contain nicotine or any harmful additives common in other vape juices. Vaping is not only a relaxing experience, it is also an extremely efficient way of taking CBD. CBD enters your bloodstream from your lungs, you can start feeling the effects almost immediately. Along with providing quick results, CBD Vape Oil is also discreet and easy to carry on-the-go. The benefits of CBD are only a cloud away. Reduced Anxiety CBD can restore balance to your body. Research suggests that CBD reduces general anxiety and discomfort in situations of public speaking. One study’s subjects consistently showed lowered blood pressure and heart rates associated with a decrease in nervousness and worry. Decreased Pain Levels – In some cases, pain results from over-inflammation. The anti-inflammatory properties of CBD stop overactive immune cells from affecting healthy cells, resulting in lower pain levels. Improved Sleep – Rest can be hard for those who struggle with falling and staying asleep. Vaping CBD E-Liquid may allow the body to relax more quickly and placate any pain that may be stopping you from a good night’s sleep. Kick the Habit – CBD has been found to be an effective smoking cessation tool. A 2013 study found that smokers who were treated with CBD significantly reduced the number of cigarettes they smoked by about 40 percent, while those given the placebo saw no significant difference. The difference was still noticeable during the follow-up, suggesting that the effects may be long-lasting. Vaping CBD Vape Oil may give you the satisfaction of smoking, while ridding you of a nicotine addiction. How Can You Vape CBD Oil? Even if you have never vaped before, our CBD E-Liquid may be the right product for you. 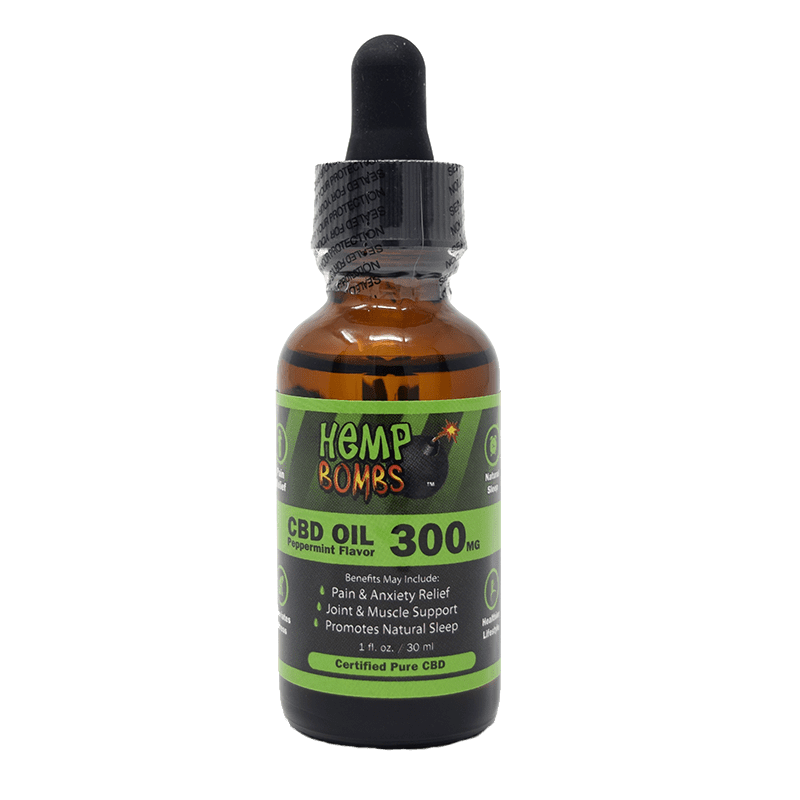 Hemp Bombs CBD Vape Oil products are optimized for your enjoyment. We offer a variety of vape products for everyone. CBD Vape Tanks – These pre-filled cartridges are a simple way to start vaping CBD. 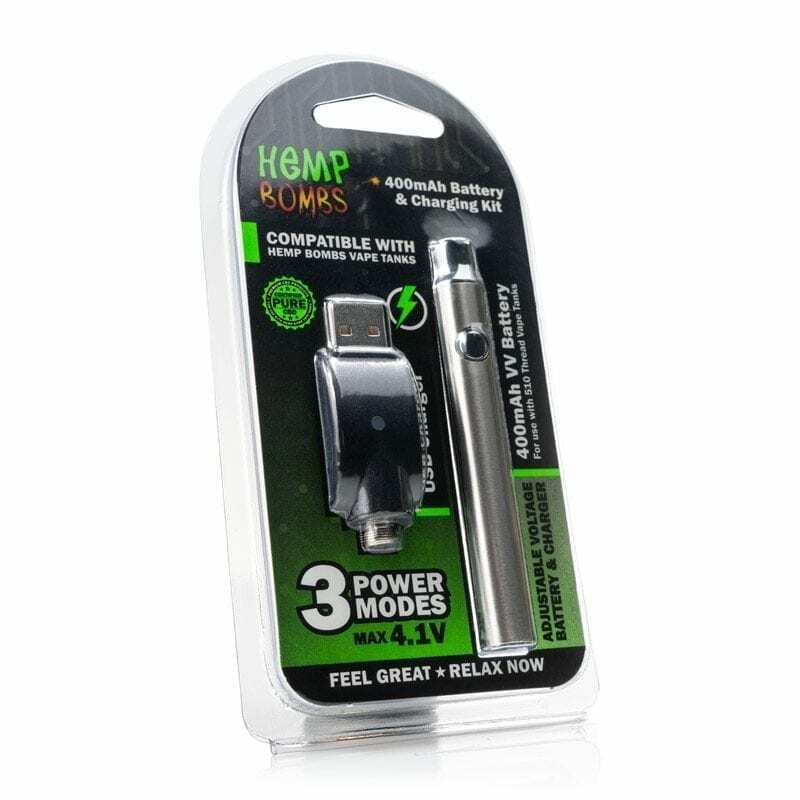 All you need is a battery that supports a 510-thread cartridge and one of the CBD Vape Tanks. This product is available in three different potencies and more than 12 delicious flavors to make your vaping experience worthwhile. 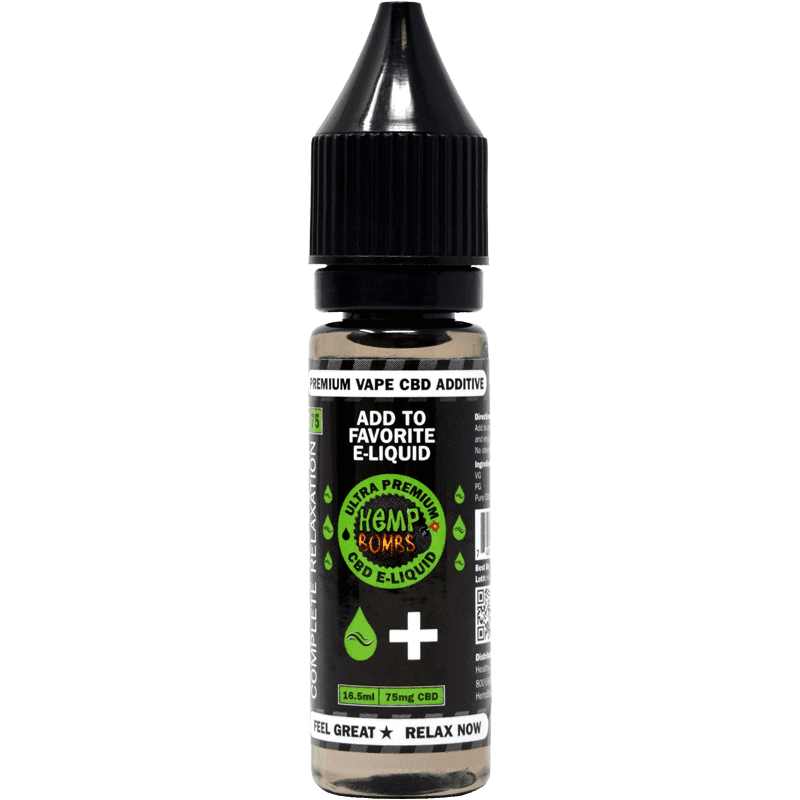 CBD E-Liquid Additives – Already have a favorite vape juice but want the healing benefits of CBD? CBD E-Liquid additives provide the effects of CBD without the flavor. 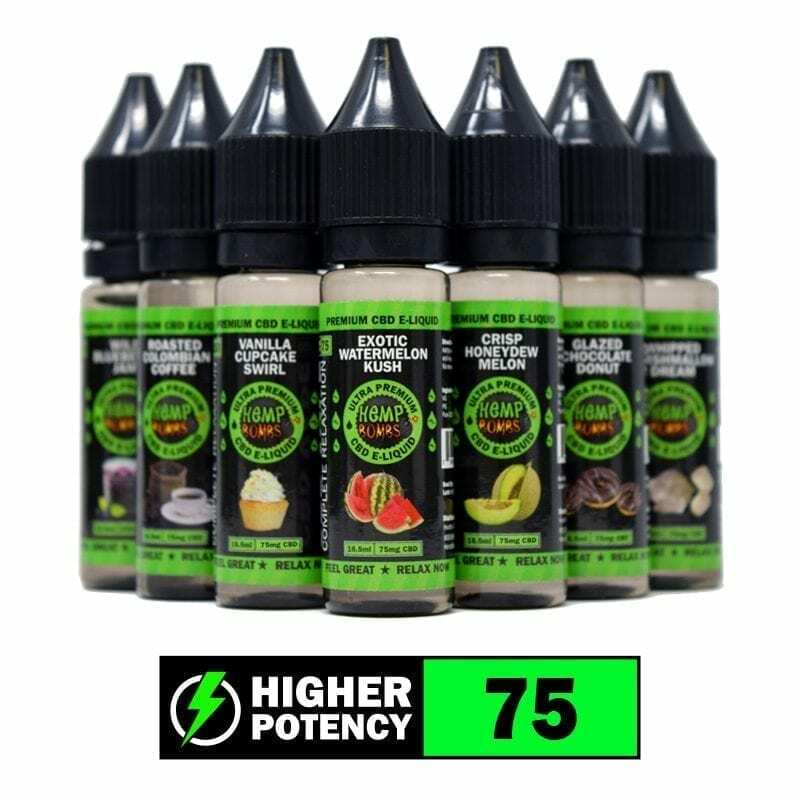 Just add this product to your vape tank along with your favorite e-juice and feel the stress of the day fade away with each cloud. When you are wondering “can you vape CBD Oil,” you may be thinking of CBD Oil. You don’t want to use the two interchangeably as CBD Vape Oil may not taste very good, and CBD Oil may break your vape tank. 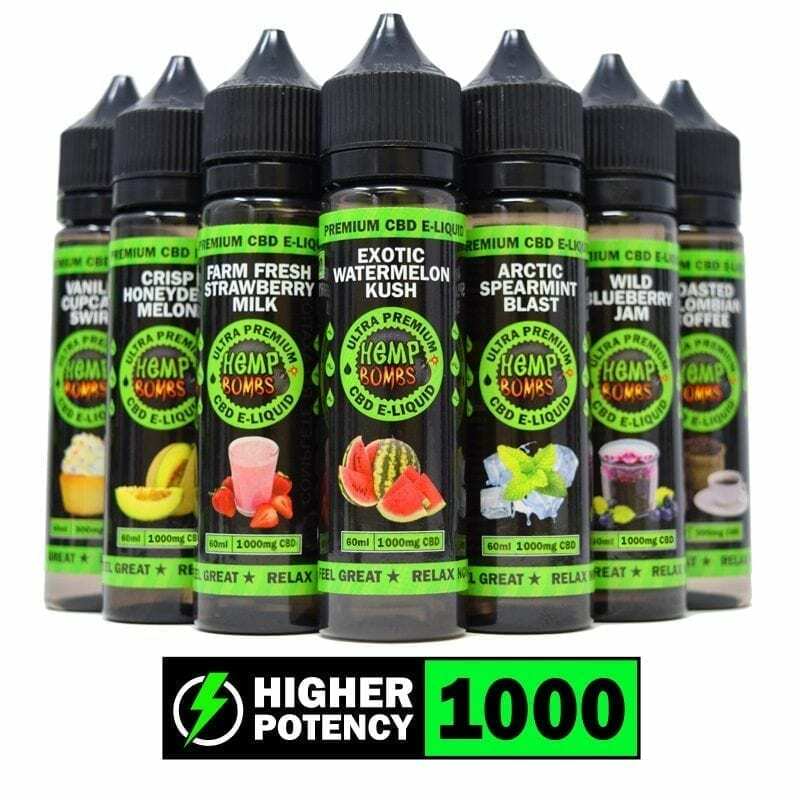 If you are looking for a fun way to add CBD to your lifestyle, Hemp Bombs CBD Vape Oil can help you get there. If you want to join the vaping community, but aren’t sure where to start, read our Beginner’s Guide to CBD Vaping.